Loure Deck-Mount High-Flow Bath Faucet In Polished Chrome Combining a sleek profile with enhanced utility, Loure introduces a classically modern look to your bath decor. 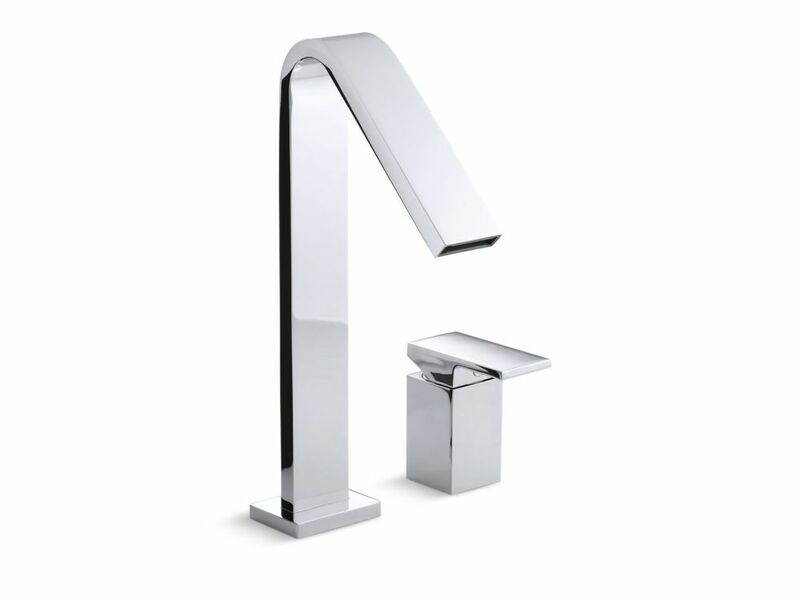 This strikingly contemporary bath faucet offers a minimalist design with clean, smooth lines. A single-control remote lever handle provides comfortable and stylish operation.